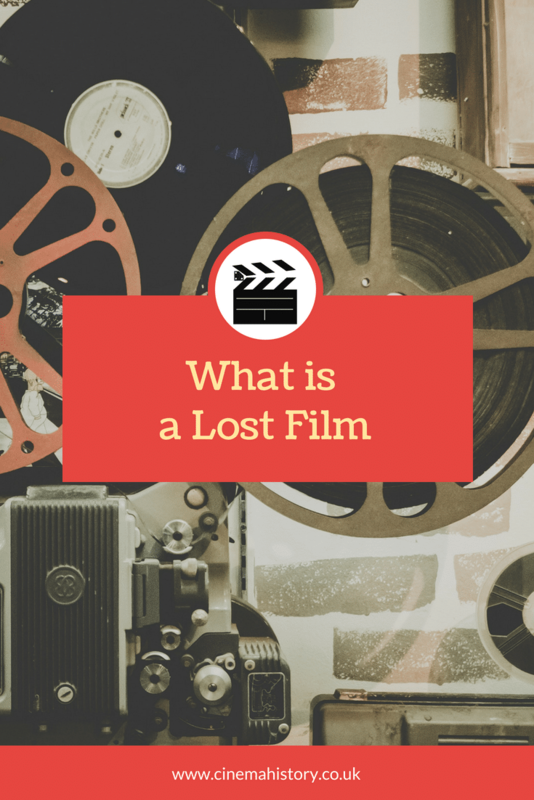 What is a lost film? 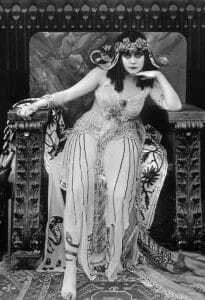 Silent film legend Theda Bara looks stunning as “Cleopatra” in 1917. The costumes she wears could rival those of Elizabeth Taylor. Her intense stare into the camera lens in the publicity is inciting. The stills alone sell the film so well. Unfortunately, we may never her acting talents in that particular film again. Cleopatra is a ‘lost film’. Unfortunately, some movies are lost to the void forever. We have records of them existing and we even have stills from some of them. But copies of the films are missing. A lost film is any film where no copies of it exist, yet there is a validated record of the production being published. There are often mentions of these films in administration or financial records. In some cases promotional material and behind the scenes photos exist. When a film that has scenes or reels missing is considered partially lost. With some talkies, the negatives came with a separate disc for the audio. In some cases, accompanying sound is missing, meaning the film is unwatchable in it’s intended state. In 1937, New Jersey was experiencing a heatwave. Temperatures soared to 100 °F. A passing truck driver noticed flames emerging from a warehouse. It was the Fox Film Vault. He alerted the fire brigade but by the time they arrived the fire was out of control. The fire spread to neighbouring houses, killing a thirteen-year-old. The fire also destroyed most of Fox’s film archive, rendering hundreds of films lost. The cause of the fire? Film Nitrate “self-combusting”. Nitrate film is prone to corroding and decaying over time. When coupled with constant high temperatures, film negatives can catch fire. The Fox warehouse had terrible ventilation. During the heatwave, the heat inside would have been unbearable. In hindsight, it’s little surprise that the negatives caught fire. Additionally, Film Nitrate is highly flammable, even when wet. That caused the fire to spread to uncontrollable levels in a small amount of time. Fox wasn’t the only film warehouse to suffer from fires. MGM, Universal and more have suffered their own, similar fates. But, fires weren’t the only cause for lost films. Decaying film stock lead to the destruction of films over time. The decaying of film negatives is part of the reason some silent films look so scratchy and poor quality today. The vast majority of silent films did not go into cinemas like that. The decay can be unpredictable as some late 1890 films are still in perfect condition. Although Kodak invented a safer type of film in 1909, it became brittle after a few years of use. But, as storage space for such films became an issue, film studios began to question the value of such films. Film reels are big and expensive to store. Many studios decided to destroy film stock to save space. Initially, silent film was a novelty with no future as entertainment or art. Studios destroyed some early films after the crowds lost interest or newer versions came along. By the late 1930s, silent movies became commercially unviable. Cinema audiences preferred talkies to silent films. Some silent movie negatives got recycled for their silver content or were destroyed to save space. In some cases, actors have had their entire careers erased from history. Lost films are a heartbreaking part of film history. The race to preserve existing films is on. The good news is films are being rediscovered. Some are hidden away in attics and storage vaults, with some people not quite sure what they are. Film preservationists are working tirelessly to save the existing film stock. By highlighting the plight of silent films, we can save these small parts of our history.